I don’t know why, but something about cooking dry beans seems intimidating. I suppose it could have something to do with the whole, soaking, draining, cooking for a few hours, and then hoping they’re not crunchy in the end thing. But, turns out, it’s not scary. I’ve only done it a few times before now, and I did it on the stove. 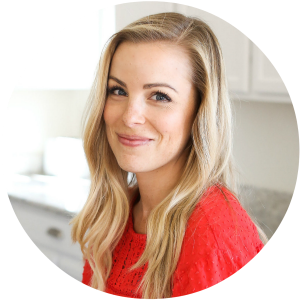 I decided to give it a try in the slow cooker to see if I felt less stressed about it. VICTORY! 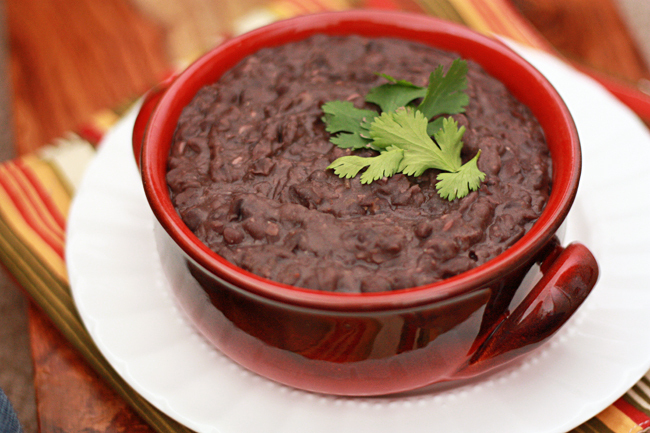 I’ve now tested this recipe about 4 times, twice with pinto beans and twice with black beans. I wanted to give it a fair shake and really get it where I want it. I tried soaking and not soaking the beans beforehand, and both worked out great! I’m not sure what’s made the real difference, but for me, the beans turned out far more tender than the times I’ve made them on my stovetop. You can pull them out when they’re soft and use them in place of a plain ol’ can o’ beans if you like, or you can let them go a while longer and mash them up to make “refried” beans, as pictured. (Sophie’s on pureed foods strike, so she wouldn’t eat them unless they were whole. We set out a little portion for her before mashing the rest). As for the flavorings, this is the most basic recipe and is, therefore, quite bland. To spice things up, I added plenty of salt and pepper, about 1/2 tsp garlic powder, 1 tsp chili powder, 1/4 tsp cumin, and 1/2-1 tsp cider vinegar. (They don’t taste vinegar-y, but the vinegar provides a little brightness.) I’m sure you could use lime juice if you prefer. Other ideas for dressing them up: stir in a can of diced green chiles, throw in a minced jalapeno, or mix in a chipotle chili in adobo sauce. Make them your own and don’t fear the dry beans! If you remember, you can soak the beans in a large bowl of water in the refrigerator overnight (make sure they’re covered by several inches of water). In the morning, discard the soaking liquid and follow the recipe as listed. If you forget, or don’t want to soak them, proceed as directed below. 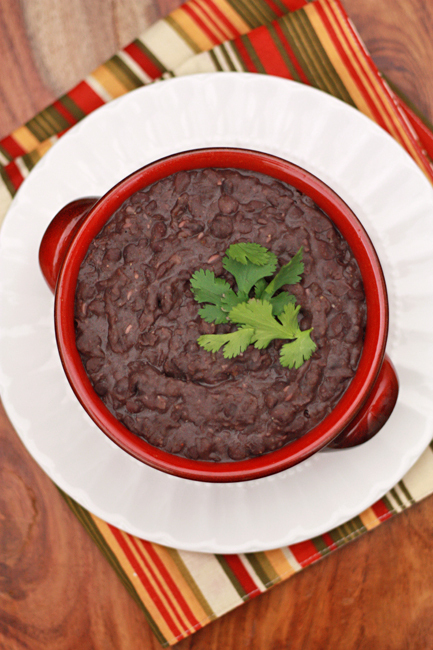 Place the beans, onion, and water in a slow-cooker (make sure it has at least a 3quart capacity). Cook on high 3-4 hours until beans are tender and soft enough to mash. Remove beans and onions to a bowl (reserve liquid). Mash with a potato masher or puree. Stir in cooking liquid as needed to reach desired consistency. Keep in mind that the beans tend to thicken as they cool, so you may want to thin them out slightly. Stir in any desired flavorings. 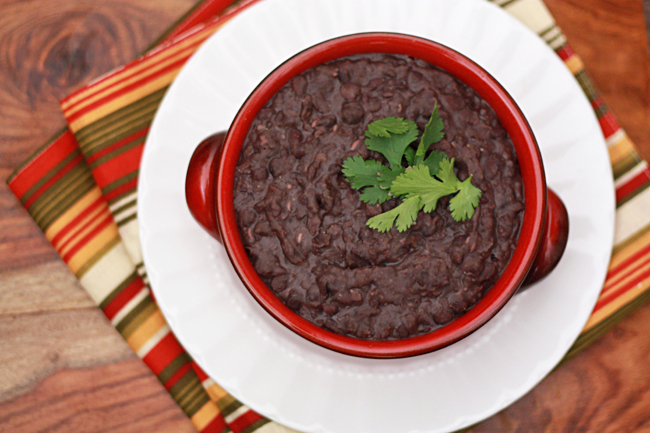 Beans will freeze well, so for storing leftovers, place in freezer-safe containers in the freezer until ready to use. *when you “pick over” dry beans, you’re pulling out any broken beans or small pebbles. **If you’re working with very old beans, I recommend pre-soaking overnight and they will take longer to get soft, more like 5-6 hours. These will be on the menu this week. Thank you! Be careful with dry beans in the slow cooker, they do not reach a high enough temp to kill all toxins and can poisin you! They should be boiled first. Rebecca – thanks! 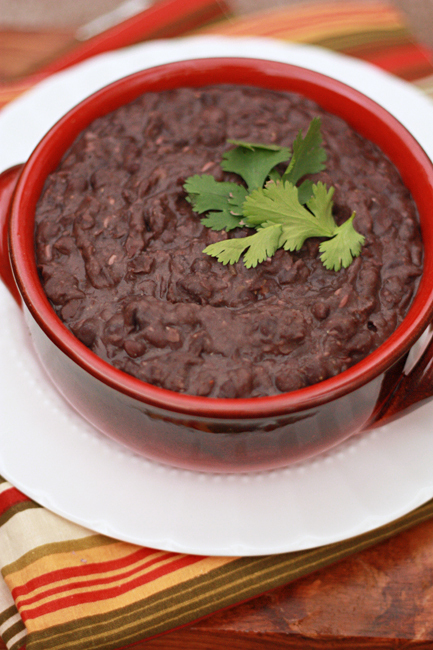 My understanding is that the problem is primarily with red kidney beans, which is why I only recommend pinto or black beans for this recipe. If you feel concerned, you can boil the beans for 10 minutes and then transfer them to your slow-cooker. Thanks for the article! I’ve got my beans in the crock pot right now. A co-worker was talking about how easy it was and I found your recipe. I had some dry beans from the farmer’s market and was trying to find something to do with them. As I type this, my black beans have about a half hour left of soaking! I know.. I am a late night foodie. This is my second go at dried beans/slow cooker combo, and am hoping to improve! This is a great simple recipe that can be customized, so i am off to the spice rack to see what I can concoct! Thank you! I have been craving this for a long time. I think I will try a mix of some whole and some mashed. I have also been craving chorizo and am going to try my hand at making my own (beef or turkey, I don’t eat pork). I don’t know if I should pre-cook the chorizo or not but will figure it out. I am excited and drooling at the prospect!